Doka, the Austrian formwork experts are a strong partner to the Middle East construction industry with high emphasis on its role as a supplier to uphold safety. The company is widely known for its formwork technology innovations, engineered with high quality material and ergonomic working design to boost safety and productivity. This year, with July being one of the hottest months, Doka Qatar WLL joined forces with Lusail Real Estate Development Company to run a heat stress campaign. The focus of the cooperative effort was to create awareness on necessary steps for contractors and developers to practice safe working during the summer's scorching temperatures which are mainly above 40 degrees Celsius. 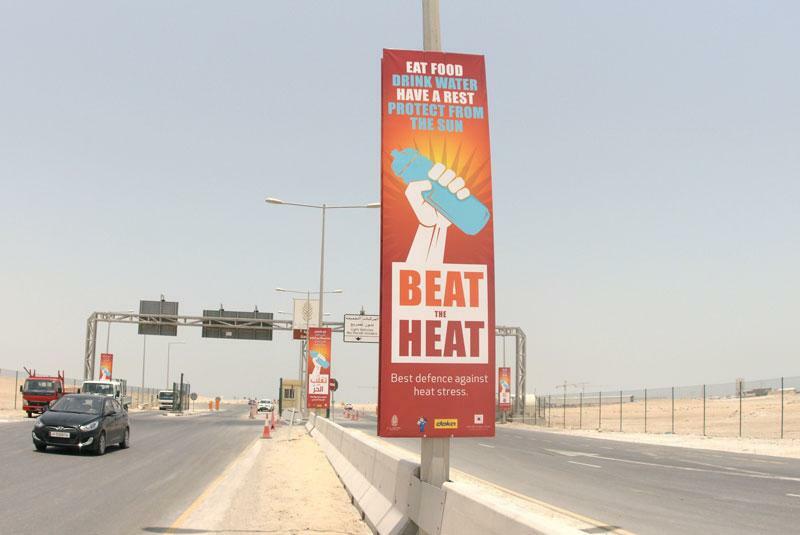 Thousands of onsite construction workers benefited from this health and safety campaign entitled BEAT THE HEAT on prevention and symptoms of heat stress and related illness. The campaign was delivered in multiple languages, plus banners in four languages were erected along major bus routes of Lusail City sites. Reusable water bottles were distributed to all workers encouraging hydration and in various locations workers were able to join a mobile bus unit delivering classroom style lectures on heat stress prevention and how to call for help in case of emergency. According to Ralf Buerger, Managing Director Doka Qatar, "As a supplier to many projects in Qatar, Doka collaborates daily with jobsites and their employees with the imperative goal to provide all safety precaution information to those who are erecting our material. By partnering to execute the BEAT THE HEAT campaign we have taken our approach one step further toward increased occupational health and safety of workers onsite. I am proud that Doka’s support facilitated one more information avenue to help workers to stay healthy and hydrated while executing the demands of the fast paced Qatar construction industry." Safety is written large within Doka Group on all levels. As early as the planning phase Doka supports its customers with professional consulting from its long expertise with safety issues. In depth analysis and provision of individualized solutions incorporate the correct and necessary safety solutions, High quality documentation such as formwork utilization plans, instruction manuals and safety data sheets are an important and vital basis to support customers further with usage of Doka formwork. Onsite, the company provides formwork instruction and dedicated project coordination onsite to support contractors with jobsite safety in deployment of Doka material and those who erect it is upheld. Internal campaigns within Doka and various initiatives foster awareness of the topic and make an important contribution towards motivating employees. Every year, a safety spotlight is launched in the company for World Safety Day on April 28th. 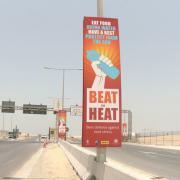 Thank you for your interest - Doka supports Heat Stress Campaign in Qatar. Thank you very much for your interest - Doka supports Heat Stress Campaign in Qatar.